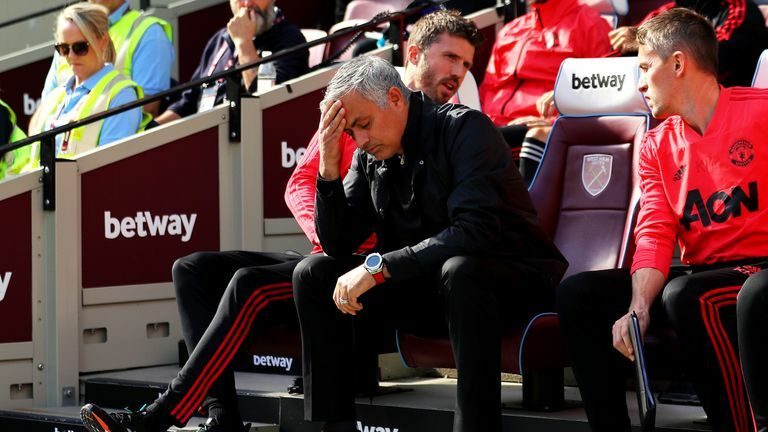 Defeat at West Ham on Saturday lunchtime condemned Manchester United to their worst start to a league season for 29 years and intensified the pressure on Jose Mourinho. In addition to the 3-1 reverse at the London Stadium, United have lost to Brighton and Tottenham and were knocked out of the Carabao Cup by Derby on penalties. Matt Dunn - Daily Express: A very tepid performance [at West Ham] from a team that just looked ordinary. It wasn't Manchester United, even when they scored the goal, there was no sense of 'oh, they're going to turn it around now' because, first of all, it has to be said, West Ham played very well but United just had nothing about them. They didn't look dangerous, they were going at half speed, no one seemed to be getting stuck in, no second balls were being won, they weren't turning the screw at all. That is just totally un-Man Utd. Unfortunately, there is one person steering that ship at the moment and that is Jose Mourinho and he's got a lot of questions to answer now. The way out for Mourinho is through the exit doors. All that is keeping him in that job at the moment is the Manchester United name and the feeling [from the board] that 'we've got to do the right thing'. He's not going to turn that dressing room around, it's a case of managing when you swing the axe. 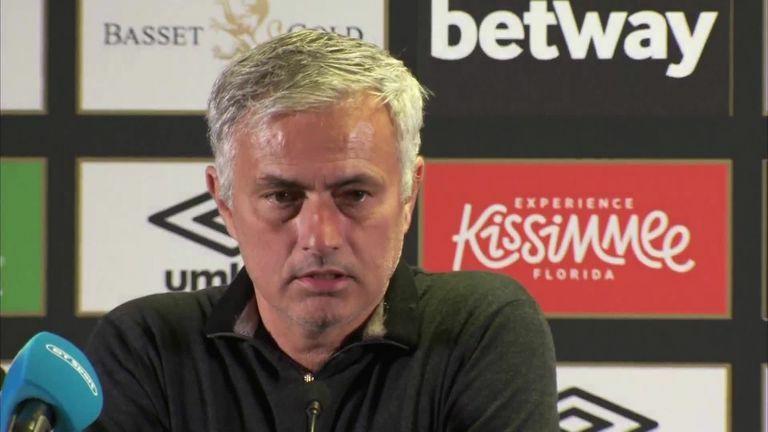 I'm a big fan of Jose Mourinho's, when he's on form he's a very engaging man, very pleasant but for whatever reason he is picking fights with his entire dressing room. He's just losing the plot. Rob Draper - Mail on Sunday: Manchester United have been in an identity crisis ever since Sir Alex Ferguson left, obviously, but it felt like an existential crisis. 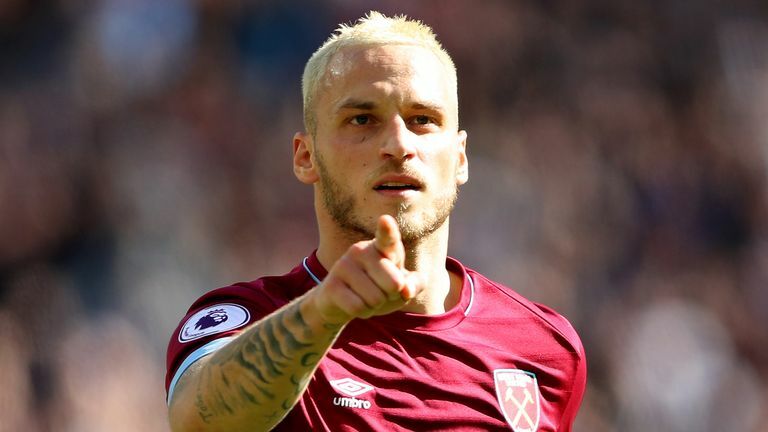 What is the point of Manchester United if you're going to West Ham and seemingly starting on the back foot and inviting them on to you? I know people caricature Mourinho as a defensive coach but, at his peak, he was much more than that. He was a much more interesting, innovative coach than the caricature and this doesn't look like a Jose Mourinho side. It looks he's having an identity crisis, the club are having an identity crisis; it feels like they're in a complete cul-de-sac and the only way out is to change leadership. Something someone close to the club said to me this week is that the chatter around the club, amongst people in the dressing room, is that this could unravel very quickly. That is obviously the sense of crisis they've got to, only Ed Woodward really knows. Their problem is what do you do for the next seven or eight months of the season? It is still a big season to fight for, they've still got to make the top four, they've got a Champions League campaign, the FA Cup etc to play for so Manchester United is not a club that can just blow in the wind for eight months and wait for the right man to come along. Dominic Fifield - The Guardian: [Mourinho's end at Chelsea] was dire, I think that was probably worse but I think the one parallel to be drawn now is that spell in the autumn of 2015, Chelsea occasionally flickered into life, they had a good win against Arsenal in that run, they had a few results in the Champions League as well. Every time that happened you thought, 'oh, they're turning a corner and get back to what they were last season' which was a title-winning side. United won those three away games and we sort of clung to that as evidence that he can still turn it around, that it's not gone too far yet. The reality is they're in a tailspin. That this last week has happened just demonstrates that he can't arrest this decline, unfortunately. He was mystified by it at Chelsea, he never offered any conviction that he knew how to how to stop that rot and I get the impression now that the same thing is happening at United. The problems are too ingrained, there's a lack of leadership at the top, there's obviously a massive issue with Paul Pogba but at any other club when you've got a disaffected star player who wants to leave, look at Chelsea, Eden Hazard wants to go to Real Madrid, he said it virtually at the end of the World Cup but Mauricio Sarri and Chelsea have got him playing brilliantly. That's the job of a manager and unfortunately Mourinho seems to want to go the other way and ostracise him and pin him to the sidelines, that's just not going to work.